Another case of carbon monoxide poisoning due to neglect has been heard before a London court following the poisoning of a family in Lewisham. 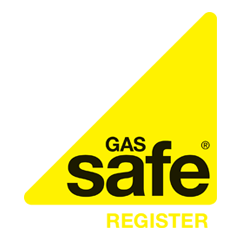 The landlord responsible for the flat has received a six months prison sentence suspended for two years after appearing at Westminster Magistrates Court where he pleaded guilty to breaching the Gas Safety (Installation and Use) Regulations 1998. Gail Calvert along with her partner Stephen Clayden and her eight year old daughter inhaled large quantities of carbon monoxide, which is potentially lethal, inside their rented ground floor flat in Iona Close, Catford. On the evening 10th November 2011 the couple were awakened by a carbon monoxide alarm in the flat above but by then they had been exposed to significant quantities of the gas and were taken to hospital where they remained overnight for treatment. Meanwhile the entire building was evacuated the gas boiler responsible for the leak disconnected. The Health & Safety Executive (HSE) confirmed that the source of the leak was a faulty gas boiler inside the ground floor flat. The HSE subsequently found that over a period of two years the landlord, David MacDonald, had failed to ensure safety checks were carried out on the central heating system. Furthermore, a specialist engineer found numerous faults within the boiler including a half-blocked heat exchanger and debris falling into the burner thus generating higher levels of carbon monoxide than normal. The boiler’s case was also partly loose due to degraded screws, thus allowing gas to escape into the flat. The flue was positioned 300 mm below the kitchen window and this also allowed gas to re-enter the property when the window was open. Gas also travelled up the side of the building where it was found to be entering a flat on the first floor through an open window. In addition to the suspended prison sentence, MacDonald was ordered to pay £8211 in costs and carry out 200 hours of community service.